Coming from Europe and being influenced by different styles, genre blending is always the core for Made in 8’s tunes. 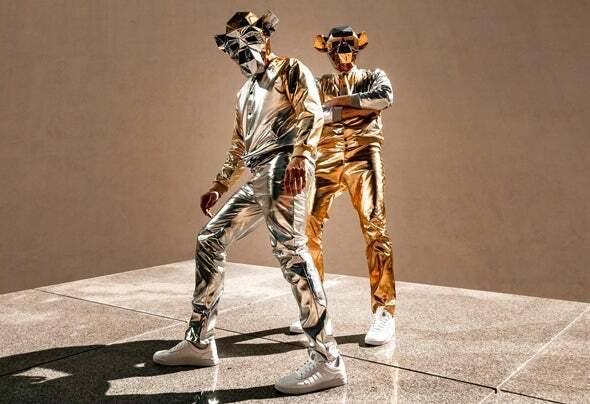 They like to experiment with different folk instruments, powerful synths, as well as vocals with a lot of character; that is what makes their songs stand out. This explains why Made in 8 are the winners of Beatport Contest for Giuseppe Ottaviani’s Label “Go on Air Recordings” (Black Hole Recordings.) They are currently growing bigger and bigger with each release and a great number of blogs as Dancing Astronaut, BuzzFeed, EDM Thrones, EDM Sauce, etc. show constant interest writing about them. Made in 8 got support from Arty, Martin Garrix, The Chainsmokers, Capital Cities, Limp Bizkit, Showtek, and many more.Recently they released their first music video which is receiving a great amount of love on all the platforms. Made in 8 are artistically creative on all levels as shown in their first music video which was directed, filmed, and edited, by them.Made in 8 headlined in numerous clubs: Create (Hollywood, CA), Avalon (Hollywood, CA), Exchange (Los Angeles, CA), Sutra (Costa Mesa), La Vela (Panama City Beach, FL), Nightown (Destin, FL), Pink Room (Miami, FL), Soho Rooms (Moscow, RU); they played also played alongside with Showtek, Borgeous, Vicetone, Dannic, and The Chainsmokers.Currently Made in 8 are working on their first EP as well as on opening their own record label.Keep your eyes on these guys because you want to be a part of Made in 8 TROOPS in supporting the talent and passion in music.